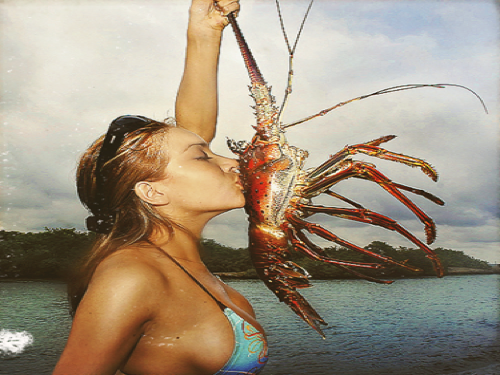 Always Keep Your Catch With a Sieden Sports Lobster Game Bag. 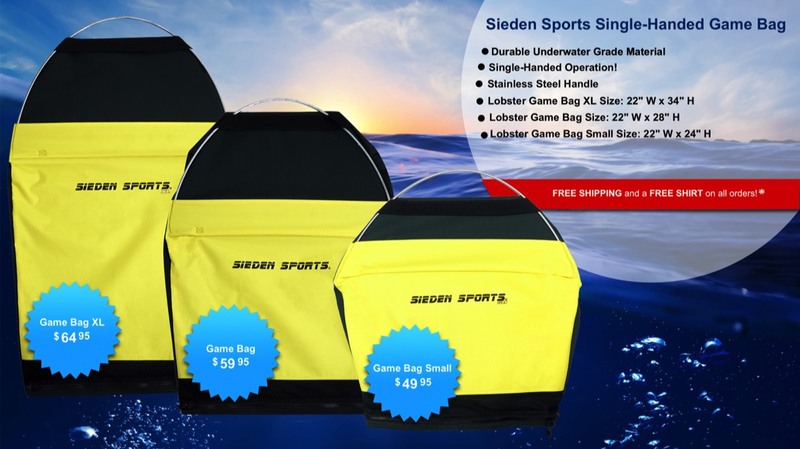 The Sieden Sports lobster game bag is a unique design that makes bagging your dive catch -- lobster, crab, abalone -- easy with only one hand. Our bag is manufactured using a puncture resistant heavy-duty nylon with a polyurethane lining that makes for easy cleaning. This bag is built to last with durable seams stitched with 138-nylon thread and wrapped around a stainless steel handle that easily clips onto your weight belt or BCD. It's the one-way slot that makes our bag better - this allows you to slip or push the lobster in the bag securely and keep them there - even if the bag is turned upside down. At 22" x 28", 22" x 34", and 22" x 24", our bags are bigger than most and will hold the legal limit for California or Florida and more!